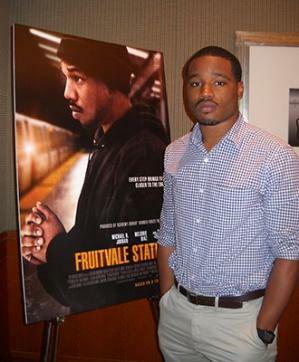 The plight of many black men in urban America is portrayed realistically in "Fruitvale Station," a film dramatizing the real-life case of the young unarmed black man shot in the back by a white police officer in 2009. 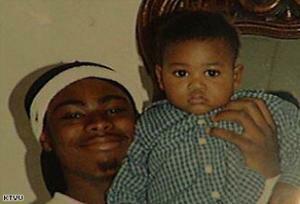 Oscar Grant did not deserve to die. It's a common message, often heard in film and life in general. But the way writer-director Ryan Coogler delivers this message is extraordinary. This is the central message of "Fruitvale Station." As portrayed by Michael B. Jordan (beware of plot spoilers ahead) Grant is a great father - and a convicted felon. He loves his girlfriend - and he cheats on her. He wants to hold down a legal job - and he can't make it to work on time. He's a drug dealer who takes time to make his bed in the morning, a hardened convict and a mama's boy - a thuggish angel. By the time the credits roll, Oscar Grant has become one of the rarest artifacts in American culture: a three-dimensional portrait of a young black male - a human being. Which raises the question: If Grant was a real person, what about all these other young black males rendered as cardboard cutouts by our merciless culture? What other humanity are we missing? "Everyone either made Oscar out to be a saint, depending on whatever their political agenda was, and on the other side they made him out to be this villain," Coogler said in an interview. "Everything he had ever done wrong in his life was magnified," Coogler said. "He was just a criminal, a thug, a drug dealer, and he deserved what he got. You live that type of lifestyle, you get what you deserve. His humanity was lost." Grant was 22 years old in the early hours of New Year's Day, returning home to Oakland, California, with his girl and other friends. In the film, a fight starts on the train when Grant encounters an enemy from prison. Police detained Grant and his friends on the platform of the Fruitvale station. "If there's one thing missing in our country, it's an acknowledgment of the broad humanity of black folks," Ta-Nehisi Coates recently wrote on his blog at TheAtlantic.com. "Racism - and anti-black racism in particular - is the belief that there's something wrong with black people." Perhaps it's serendipity, then, that gives "Fruitvale Station" so much power: the film started trickling into theaters as the verdict was delivered in the Trayvon Martin case in Florida.